Las Vegas is all about the gambling… isn’t it? Does visiting this almost mythical city actually mean that you have to spend all your time losing (mostly) all your money in the world famous casinos? 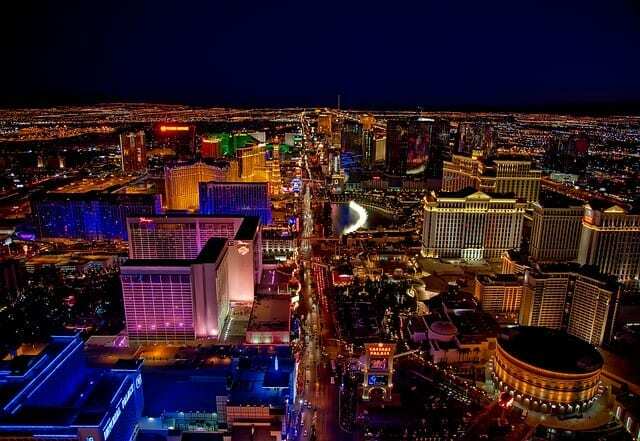 Many people think so, but there is actually a lot more to do in Sin City than gamble your life away. Here are 7 ideas for doing something different. The Hoover Dam – once called the Boulder Dam – sits proudly on the Colorado River, which links Arizona and Nevada. It was completed in 1936 after five years of construction. It was a huge feat of engineering, and nothing like it had ever been attempted before; some of the techniques used had been designed especially for this massive build, and there were many dissenters who were sure the whole thing would fail. It didn’t fail, and it was in fact hailed as a miracle of modern engineering. From Las Vegas, you can join in on a day trip to the dam via the river itself. Seeing this impressive piece of construction up close is something you will never forget. Las Vegas is famous for its neon lights, and those signs that welcome visitors to ‘fabulous Las Vegas’ have been icons of history. They pop up in movies and TV shows, in books and stories, and they are as much a part of the town as the casinos and the mob. But where do they go when they are no longer needed? When the neon fades and the advertising budget is over, where do these enormous signs end up? Many of them are laid to rest in The Neon Museum, where you can book a one of a kind guided tour and discover the old Vegas and various names in lights. Literally. Las Vegas and hiking are two things that you might not normally put together, but it’s true – Sin City is ideal for those who love the great outdoors. Or rather, it’s the area outside and around Las Vegas that really appeals. The three mains areas in which hikers enjoy doing their thing are Lake Mead, Mount Charleston, and Red Rock Canyon. Each different place has its own trials and tribulations, and none of them are particularly recommended for beginners or those without the right equipment (don’t forget, Las Vegas is basically located in the middle of a desert). But guided tours are available, so if you do want to try something new, get in touch with the experts to see how to go about it. What is it about construction and big machines that fascinate so many people? Why is it that the idea of digging down into the earth is something that so many people really, really want to do? We don’t know. What we do know is that if you book a fun day out with Dig This in Las Vegas, gambling will be the last thing on your mind. Dig This offers everyone, from the age of 8 (yes, honestly, your little ones can do this too!) upwards, the chance to drive massive, powerful construction machines such as bulldozers and excavators. There are many different construction based activities available including building huge mounds, pushing over gigantic tires, digging enormous trenches, stacking 2,000lb tires, and even playing bucket basketball! Who amongst us can truly say that if they were given the chance to swim with dolphins, they would turn it down? No one, right? So when in Las Vegas, drop by The Mirage Hotel and Casino and make your dreams come true in their dolphin habitat. Not only can you swim with actual, real-life dolphins, but you can also enjoy a ‘painting with the dolphins’ experience in which you can experience exactly how intelligent bottlenose dolphins really are, and take the canvas home with you afterwards. Or what about learning how to be a keeper for the day with the experts, and discovering exactly what it takes to look after these beautiful creatures? So much more fun that gambling – and you’ll be a guaranteed winner with the dolphins! If you want things fast and furious, Exotics Racing is the place to go. This is your chance to drive a supercar on a racetrack, and the cars on offer include Ferrari, Porsche, Corvette Z06, Nissan GT-R, Lamborghini, Aston Martin, and Mercedes-AMG GT S. Learn how to take corners and get up to some pretty impressive speeds as you drive, and push those incredible cars to their limits with professional one-on-one coaching! For a truly once in a lifetime experience when in Las Vegas, you will need to book a helicopter tour over the Grand Canyon. The Grand Canyon is up to 18 miles wide by 227 miles long, so a flight over the top of this amazing natural phenomenon is something not to be missed. Flying high over the top of this huge gap in the earth will really show you how incredible nature can be.